Italy is widely regarded as one of Europe’s best holiday destinations. The country is well known for its food, culture and long history. There are many tourist hotspots in Italy, particularly around sites of archaeological significance. Cities like Rome, Florence, Venice and Naples, all draw millions of tourists yearly. Although Italy is a developed country, there are a number of travel tips that might be of some help. 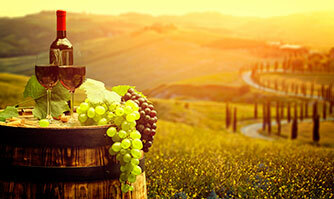 There are a number of different seasons in which you can travel to Italy. Generally, the peak season is perceived to be from June through to August; this is when you can expect the biggest crowds and for the prices to hike upwards. Don’t let that dissuade you from going during this time, there are still places outside of the more popular destinations where it’s not as busy or as expensive. This season is popular because it’s in the middle of summer. We recommend travelling in the shoulder seasons, fall and spring. Springtime in Italy is from April to June, it’s less busy and less expensive, and everything is coming into bloom in the countryside, so it can particularly pretty. The other months to travel are in autumn, September to October. Similar to spring, autumn isn’t too hot or cold, and the countryside’s and cities take on beautiful shades of orange, pink and magenta, as trees lose their foliage. A lot of the more popular hotels during the peak seasons get booked out months in advance, so we recommend you make your bookings a few months before you arrive in some of the bigger cities (Rome, Florence, Milan etc.). You can always book accommodation online staying at someone’s house through a bed and breakfast website, there seems to be plenty on offer in that respect. If you’re travelling on a budget, there are guesthouses and hostels all throughout Italy, and Europe for that matter. It is recommended you travel light on some of your expeditions throughout Italy. Many of the railway stations in the country do not have trolleys or porters who can pull luggage, so big suitcases can sometimes be a hindrance. Obviously there are other ways to travel the country, like hire cars, but far and away trains are the most popular form of transport. Quality travel insurance will cover you for lost luggage, health and personal wellbeing. If it’s a family trip then having comprehensive cover will be beneficial to you and any co-dependents that will be travelling with you, dependent children travel for free. Having an international calling sim-card or mobile roaming will allow you to stay in contact with your love ones while you travel. The majority of the Italian population speak some English, so you’ll be able to get by without being fluent in Italian. It is recommended you brush up on some basic Italian before your trip, to read timetables and directions for instance. The Italian currency is the Euro, which is typically accepted by 19 countries within Europe. You shouldn’t have much trouble in respect to currency conversions. Exercise caution and monitor developments that might affect your safety in Italy because of the risk of terrorist attack. Pay close attention to your personal security and monitor the media for information about possible new safety or security risks. Avoid demonstrations and large public gatherings as they may turn violent. *Please use information as a guide and always check Smart Traveller for the most up to date information. The Australian government and Smart Traveller recommend appropriate insurance information if you are travelling overseas and to ensure that you are properly covered with comprehensive travel insurance. The cost of medical, dental and let alone the inconvenience of the lost luggage can ruin your holiday.